If you are looking for information on the Fantastic Sams franchise business opportunity, Fantastic Sams franchises or Fantastic Sams franchising, then you have come to the right place. 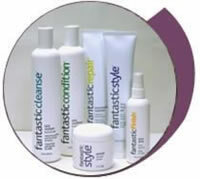 Fantastic Sams is one of the largest full-service haircare franchises, with salons located in 4 countries. We opened our first salon in July 1974 and began franchising in 1976. Our salons have earned a reputation for providing quality haircare services, including cuts, perms, color and many other services and treatments to the entire family. According to American Salon's Green Book, haircare is a $59+ billion industry. Not only does the industry offer tremendous opportunity, it is also recession resistant -- hair keeps growing! Regardless of the economy, people continue to have their hair cut and colored, so salon services stay in high demand all year long. 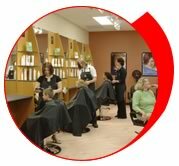 NF Marketing Resources projects that the number of women visiting salons will reach 54.3 million by 2010. Fantastic Sams has been in business for over thirty years. We've been named the #1 full-service haircare franchise by Entrepreneur Magazine. We have also been recognized by Black Enterprise Magazine and Franchise Times as a top franchise opportunity. 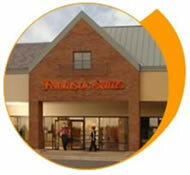 With such a strong and well-recognized brand, buying a Fantastic Sams franchise is simply a smart investment. Background or experience in the hair care industry is not required. Professional haircare services, such as cuts, perms and color, create a high degree of customer loyalty. You can quickly build a solid customer base and bring in repeat business. With nearly 1,400 full-service, family haircare salons, Fantastic Sams provides its franchisees with over 30 years of experience in haircare and business management. We offer solid, proven systems, which are continuously refined to keep you ahead of the competition. The strength of our brand is reinforced through a network of 35 regional owners, over 720 salon operators and more than 13,000 experienced stylists who deliver fantastic service each and every day. Fantastic Sams franchises are provided with multiple levels of regional and national support. Marketing, recruiting and retention, product sales, site selection and salon development services are all part of the services you will receive as a Fantastic Sams franchisee. We offer courses at our Fantastic Sams University that teach franchisees about all aspects of the business, from how to manage the manager and grow a business from one location to multiple salons, to the basics of salon ownership. Fantastic Sams offers franchisees start-up programs, recruiting and retention assistance, marketing and advertising programs, field services, and of course the support of the Fantastic Sams Franchise Team. You'll also enjoy the educational and networking benefits of our annual convention, where you'll attend seminars and classes and meet the entire Executive Team, as well as fellow franchisees. Our education and training also extends to the salon level with on-going courses for stylists that keep them up to date in the latest styles, fashions and trends. Experienced and educated stylists are the primary reason our customers keep coming back. Brand awareness. Experience. Leadership. These are just a few of the reasons to join the Fantastic Sams family of franchisees.